Gallenberg PC successfully litigates class actions throughout California including Los Angeles County and San Fernando Valley. Rosa Vigil-Gallenberg, Gallenberg PC founder and Los Angeles class action lawyer has substantial experience helping individuals pursue class action claims in state and federal courts. If you believe you need a class action attorney, call us now at (818) 237-5267 (Burbank) or (213) 986-8432 (Los Angeles) or (310) 295-1654 (Beverly Hills) or you can fill out our quick and easy online Case Evaluation Form; this is the fastest way to get your case screened by an attorney. We do not charge prospective clients for a confidential telephone intake or online case review. Employment Law. We litigate class actions involving unpaid overtime, unpaid work time, missed meal or rest breaks, minimum wage violations, unpaid expense reimbursements, improper deductions, work uniforms, or inadequate seating. Consumer Protection. We handle fraud claims, false advertisements, improper billing practices, overdraft fees, unapproved charges, and product defect claims, unsolicited text messages, unsolicited faxes, unauthorized recording of calls, unauthorized calls to individual’s telephones. Privacy Breaches. We handle class actions involving privacy violations such as zip code collections by retailers, breach of security leading to collection of credit card/debit account numbers) and other claims involving violation of individuals’ rights to privacy. Other class actions where individuals have been similarly harmed by the same corporation/entity. Why Should I File A Class Action Case? A Class action is a filed by one individual who seeks to represent a class of people that were similarly injured by the same defendant. While the class size needs to be large enough to meet the class action requirements, only one person is needed to file the case. After the class representative files the case, then he/she moves to have the case certified as a class action. If there is a class action settlement, the class representative generally is provided an enhancement payment to reward that representative for having filed the case. The enhancement payment is usually in addition to the settlement amount the class representative will receive as a class member. A class action lawsuit can be filed for almost any type of claim, as long as the claims of the class member are substantially similar. 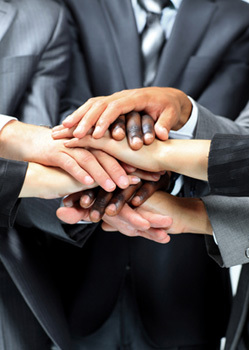 Gallenberg PC has handled several types of class actions, including employment class actions and consumer class actions. Employees or former employees of a common employer may bring a class action lawsuit against the employer. Many employer class actions involve overtime or compensation claims, where employees allege that the employer owes them overtime. Others may involve missed meal or rest breaks, minimum wage violations, unpaid expense reimbursements, improper deductions, work uniforms, or inadequate seating. Consumer class actions are designed to seek justice for consumers who have been defrauded or exposed to false advertising. For example, consumers who have been charged overdraft fees by their bank may file a class action lawsuit to recover unjust charges. Even if the amount of the charges was small, a class action lawsuit may make litigation possible. Other examples of consumer class actions we handle may involve class actions for fraudulent charges, false or misleading advertisements for products or services, food products not having the nutritional value advertised, recorded calls, unsolicited text messages, junk faxes, and defective products. Please visit our Investigations page to see which class actions we are currently investigating. Rosa Vigil-Gallenberg the founder and attorney of Gallenberg PC has extensive experience helping individuals pursue their class action claims. 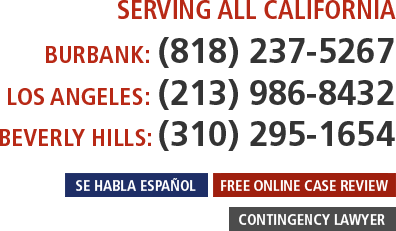 Consult with a Los Angeles class action lawyer about your case and discuss your rights by calling us. Or you can fill out our quick and easy online Case Evaluation Form; this is the fastest way to get your case screened by an attorney. To submit your case for review to a Los Angeles class action attorney; please dial (213) 986-8432. For Beverly Hills, please call (310) 295-1654. To submit your case to an employment lawyer in Burbank and surrounding San Fernando Valley, please call (818) 237-5267.